Now that Life is Strange: Before the Storm has wrapped up its second episode, Shacknews has some questions to ask before the series wraps up. 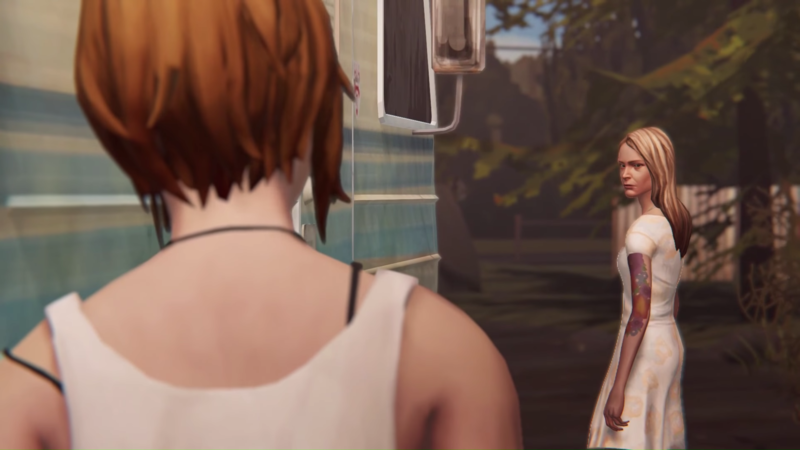 The following contains spoilers for Life is Strange: Before the Storm's second episode 'Brave New World.' If you have not played this episode, turn back now. 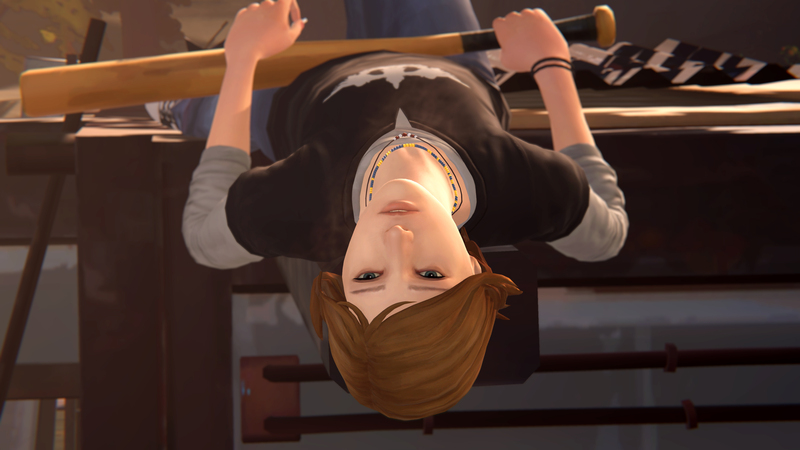 Growing up as a teenager continues to get crazier in Life is Strange: Before the Storm. 'Brave New World' continued the storylines set up in 'Awake,' but since Deck Nine only has three episodes to work with, there was little time for filler. The intensity hit a fever pitch in this episode, leading to one of the best episodes in the entire series. It's also an episode that left some heavy questions on the table. So for today, Shacknews is going to analyze some of those burning questions that we have. Who is Sera and why is she just now coming back? The first answer to this is one that certainly turned this prequel on its head. Sera isn't so much somebody that Rachel Amber's father was cheating on her mother with. Sera is Rachel Amber's mother. This understandably comes as a shock to many people, including the players, and also raises a whole lot of questions. So let's start running through them. Did Rachel know the woman she was living with wasn't her mother? What brought her biological parents to that park together on that first day? And most importantly of all, why did Sera only just now decide to return to Arcadia Bay? With the way Blackwell's presentation of The Tempest ended, with the camera panning over to a distant Sera watching ominously, there's plenty of indication that she has her eye on Rachel. It would also explain why Sera met with Rachel's father. They were likely meeting to discuss Rachel in some fashion. Then things get significantly weirder when remembering that Sera was spotted stepping out of Frank's RV. Her reasons for being there are unknown and even Chloe's Backtalk wasn't able to pry much concrete information out of Frank. The pieces of this puzzle so far involve Rachel's estranged mother, Rachel's District Attorney father, and known drug dealer Frank Bowers. How these pieces are all connected will play a big role in how Before the Storm wraps up and may even help answer the question of how Rachel got involved with Frank in the first place. What makes Joyce decide to stay with David? With Chloe's father having tragically passed, Joyce needed to get back into the dating scene. And of course, she wound up with David, the strict militant mustache that has been the main source of Chloe's angst. The opening minutes of 'Brave New World' after Chloe's expulsion provide an eye-opening and tragic picture of a family that's been torn apart. Chloe is shown to be a soul looking for the comfort of a loved one and is actively seen pining for her mother's support. Joyce, by many indications, wants to be Chloe's support system, but ultimately cedes to David's authoritarian hand. So why did David even enter the picture in the first place? If David is the main source of strife between Joyce and her daughter, why go back to him? That's tough to answer and it's actually something that might hit closer to home for certain people more than others. But this is where it's important to remember that Chloe isn't the only one affected by her father's loss. Joyce lost a husband, the love of her life and the father to her teenage child. As life began spiraling downhill for Chloe, Joyce was a witness to it. She was witness to Chloe lashing out at the world and likely felt that she couldn't handle both her daughter's grief and her own. So when that happens, there's a desire for structure. There's a desire for stability. And that's what David represents. For better or worse, he represents a stable, unwavering rock. No matter how crazy things get, he is unmoved and tackles things head-on. And while David is clearly tearing Chloe and Joyce further and further apart, it's entirely understandable why Joyce would still stand by him. Because without him, Joyce would feel entirely lost and alone. How far do Damon Merrick's connections go and what's behind his potential falling out with Frank? Players got to meet Damon Merrick in person in Before the Storm's second episode. And make no mistake, he is a bad person. He's clearly peddling drugs into Blackwell, using its students to create a steady flow of income. And if anyone crosses him, he has no trouble breaking into the dorms and wreaking havoc. After 'Awake,' the question came up regarding how Nathan Prescott rose to power, especially after watching him get bullied by Drew. 'Before the Storm' showed Drew's dire living circumstances and what led him into serving Damon. But with Damon having brutally beaten Drew, there's good reason to believe he'll soon look for another kid to sell his supply. That could be where Nathan Prescott comes in and also potentially answer how Nathan curries favor with the rest of the Vortex Club. It should also be noted again that Sera was spotted coming out of Frank's RV and it's very possible they were talking shop. This could potentially link Damon with Sera and also link him to Rachel's father, the Arcadia Bay District Attorney. His connections could reach much farther than anybody thinks and it potentially makes him a very powerful player in Arcadia Bay. But despite Damon's stranglehold on the drug trade, there's reason to believe that Frank is on the verge of revolt. There's a reason the camera panned over to Frank's dog Pompidou while discussing Damon's more insidious dealings. That's because there's heavy insinuation that Damon is behind the illegal dog fighting ring that Frank once personally put a stop to. And if that's the case, the schism between Damon and Frank is only going to intensify in Before the Storm's final episode. What DOES Chloe want out of life? Almost everybody has been at this point in life. Whether it's in high school or in the early years of college, everyone has asked themselves what they want to do with their lives. And there may have been outside forces pressuring you to decide. "You've had enough time!" they'll tell you. But sometimes, you just don't know. That's where Chloe is and it's entirely within reason to assume that part of why she lashes out so hard is because she isn't sure what she wants to do in the long run. There are multiple instances throughout this episode where Chloe expresses either uncertainty or curiosity about her long-term future. Those moments come during fleeting scenes, like where Chloe expresses a brief affinity for chemistry while cleaning out her locker. There was also the argument with Joyce, where Chloe told her that there was nothing wrong with working at the diner. In fact, Chloe even made it sound like she was hopeful to get a chance to work with her mother, seeing no shame in an honest, family-run business. Then there was the entire Tempest performance. Chloe definitely wanted no part of that, make no mistake. And yes, as she got to the stage, she mangled her lines beyond belief. Yet Chloe and Rachel got a standing ovation. That's because Chloe may not want to be a professional actress, but she has shown a total grasp of improv. It was a talent that Rachel recognized in her right away and one that Chloe realized she had the longer she was on stage. 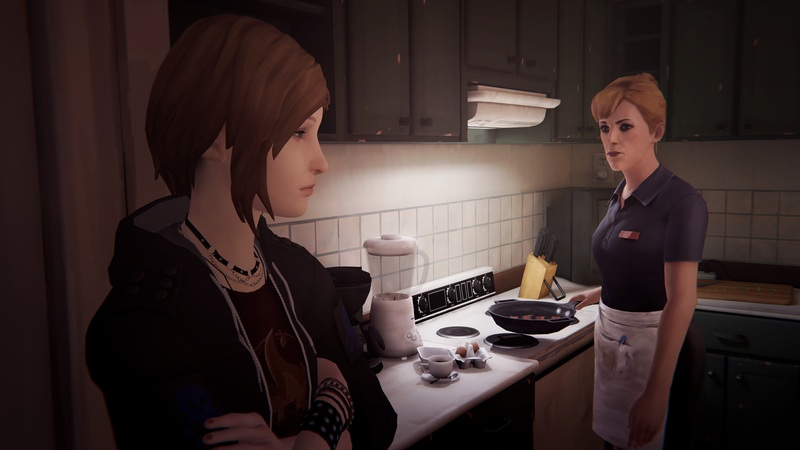 When 'Brave New World' ended, the Chloe Price character had gone from reckless teenager to a confused teenager that's looking to find her place in the world. It should be interesting to see where she ends up by the time Before the Storm fully wraps up. Life is Strange: Before the Storm Episode 2: Brave New World is available now on PC, Xbox One, and PlayStation 4. Shack Chat: What are your favorite video game Easter eggs? Easy. To crush her enemies, see them driven before her, and to hear the lamentations of their women! I am so glad I discovered Life Is Strange after the series had completed. The cliffhangers here are just killing me.